The Population Reference Bureau report, “Aging in the United States,” says the average U.S. life expectancy increased from 68 years in 1950 to 79 years in 2013. The report also showed that “the aging of the baby boom generation could fuel a 75 percent increase in the number of Americans ages 65 and older requiring nursing home care, to about 2.3 million in 2030 from 1.3 million in 2010.” This is bad news for seniors’ pocketbooks since US News reports that according to the consumer price index of the Bureau of Labor Statistics, nursing home and adult day services have seen costs rise 37.2 percent in the past 10 years. However, not all seniors want – or need – to enter a nursing home. Luckily, seniors have choices – from independent and assisted living communities to memory care facilities. And there are some who want to and are able to stay in their own homes, but only if they have the support they want and need. 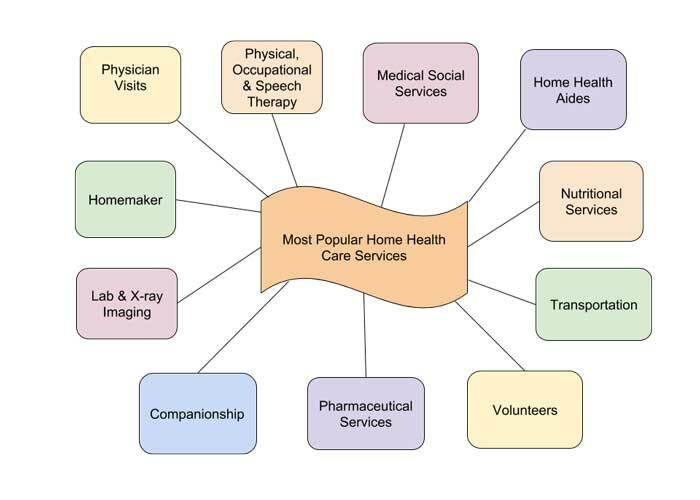 In its simplest form, home health care usually involves two different types of care: medical and non-medical services. 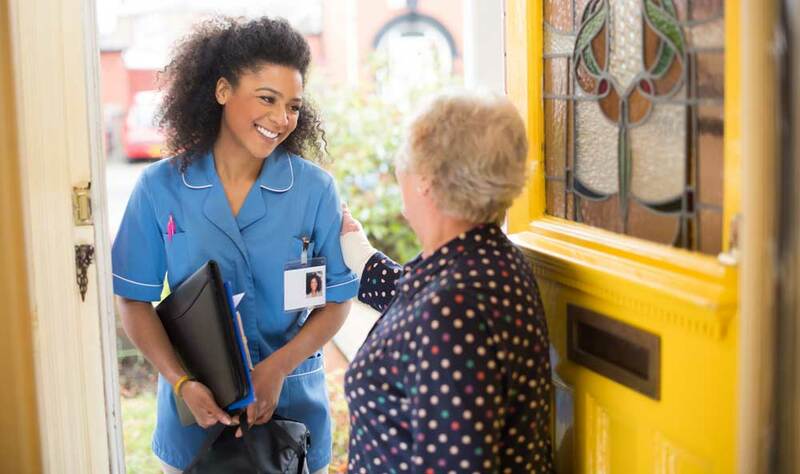 Doctors, nurses and therapists are skilled medical care workers, while home health aides and homemakers are caretakers who usually obtain professional training to care for the elderly. The median cost nationwide for either homemaker or home health aide services is upward of $125 a day. The Genworth (2016) Cost of Care Study says the median cost for assisted living is comparable to 44 hours of home care a week. Costs can vary by location, hours needed and the level of care provided. Physician visits: Some home health care programs offer doctor’s visits for diagnosing, treating and maintaining health. Skilled nursing: In consultation with a doctor, a registered nurse can create a plan of care for wound dressing, intravenous therapy, ostomy care, medication management, health monitoring, pain control and other types of care that needs to be managed by a professional. Physical, occupational, speech therapy: After an injury or surgery, patients may need to relearn daily living activities. That’s where a therapist can step in to come to your home to help you regain or strengthen your body. A physical therapist will work on the physical body; an occupational therapist helps with developmental, social and emotional disabilities and a speech therapist works with impaired speech. Chart: Retirement Living, Source: Johns Hopkins Medecine. Medical social services: Medical social workers can help with counseling and finding resources. Home health aides: Home health aides provide patients with personal needs – getting out of bed, bathing, dressing, brushing teeth, eating and walking. Homemaker: A homemaker helps with chores and daily tasks, such as shopping, preparing meals, doing the laundry and light cleaning. Companionship: This type of home health service provides comfort, supervision, and someone to do extracuriccular activities with. Volunteers: Volunteers from community organizations can help with paperwork, emotional support, companionship and personal care. In some cities, volunteers also provide transportation services to doctor’s offices and medical facilities. Nutritional: Dietitians offer dietary assessments and guidance in order to support a treatment plan put into place by a doctor or registered nurse. Laboratory and X-ray imaging: Some tests can be done in the home, including blood and urine tests, and portable X-ray machines allow technicians to travel to homes. Pharmaceutical services: Deliveries on medical equipment, and even medicine, to homes. Patients can also be trained on the use of the equipment. Transportation: There are many local and chain companies that provide transportation services from home to a medical facility. Also, be sure to investigate volunteer groups, especially in larger cities. These groups gladly take you to the grocery store, the library or to events. It’s estimated that social isolation can be connected to nearly $6.7 billion in additional Medicare spending. This is due to seniors seeking a physician’s care for illnesses that do not exist. Mentally, these individuals are just lonely and don’t have others to bounce ideas off of or have conversations with. Physically, they don’t have anyone who can notice changes that might actually signal an illness. Therefore, these individuals have to figure things out on their own, which is not a perfect solution for anyone, much less someone who is aging and losing some of his or her faculties, mentally and physically. One solution is to install a private unit on the property of family members or even friends. This way, seniors can stay close, but not too close. Family can check in, but they can also check out, leaving seniors with a sense of privacy and independence. Home health services are a great solution in this case because seniors can get the extra help with homemaking services, while remaining completely on their own so they truly feel at home, in their own home. Another program can help in two ways: Meals on Wheels provides both food and socialization. The federally funded program has 2 million staff and volunteers to deliver nutritious meals, provide safety checks and offer a simple friendly visit to seniors who want to stay in their homes as they age. The program also provides funding, leadership, education, research and advocacy support in pursuit of the dignity and safety of America’s elderly. Volunteer groups are another important resource for seniors aging in place. At a time when their own contemporaries have passed on or are themselves unfit to travel for visits, volunteers of all ages can provide a shoulder to lean on and an ear to listen to. When people decide to retire, it’s also time to make a plan on aging. The National Aging in Place Council at www.ageinplace.org can help seniors with their journey to stay right where they are. As the site says, when we are young and plan to attend college, we research before we decide on a destination. So should we plan for how to age, where and what kind of housing arrangement we desire. Many resources are available to help you with these decisions. Find help by location at eldercare.gov, a federal site that lists resources for several different types of home health care, as well as aging in place suggestions.